Since 1994, United Endoscopy has been committed to excellence. We are committed to maintaining long-term relationships with our customers and exceeding their expectations. Our customers are important to us, and we attend multiple trade shows throughout the United States and abroad to personally meet with our current customers and introduce ourselves to new ones. We are proud of the excellent service and support we provide to our customers throughout the entire purchase process. As part of our commitment to excellence, we take photographs of our customers’ orders both during the quoting process as well as immediately before shipment to ensure each customer receives the exact product(s) ordered. United Endoscopy offers installation at your facility for an additional fee. An experienced technician can install, test, and provide basic training for almost all equipment purchased from us. Please feel free to inquire about this service when you place your next order. We are here to make sure every piece of equipment you order is safely and properly installed, so that it can be used to its maximum ability. 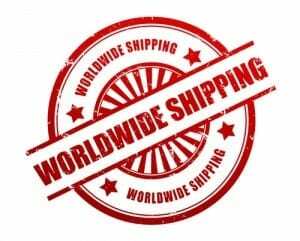 We use a variety of shipping companies to facilitate delivery of our customers’ orders, including DHL, FedEx®, UPS®, and the USPS®. 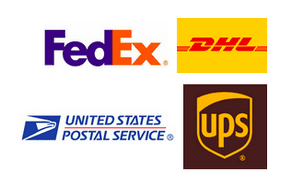 We work closely with our customers to ensure their product(s) arrive promptly and as ordered. We recognize that our export customers have certain needs, and we understand that every product crossing international borders must go through the destination country’s customs. We provide full assistance to all our export customers with shipping and customs by facilitating the Harmonized Commodity Description and Coding System (HS Code) to ensure their orders get delivered into their country faster and easier. We provide our customers with multiple payment options for their orders, including cash, check, cashier’s check, wire transfer, PayPal, and every major credit card, including American Express® and Discover®. At United Endoscopy, our first priority is your satisfaction. We are dedicated to providing you with state-of-the-art medical equipment and products, fast and reliable repairs, and excellent customer service. We are here to serve you and help make your practice successful. For more information on our products and services or for any questions you may have, we encourage you to contact our customer service department.